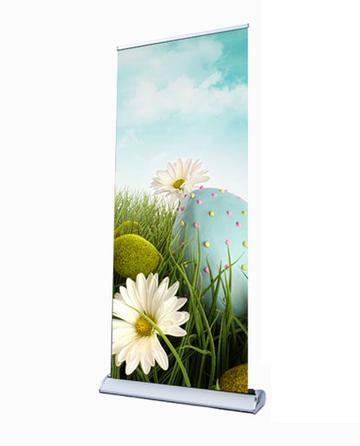 Deluxe Banner Stands are a more stylish alternative to our normal retractable stands. Bigger, heavier base with chrome accents make it stand out. Collapsible, portable and comes with a convenient carrying case.